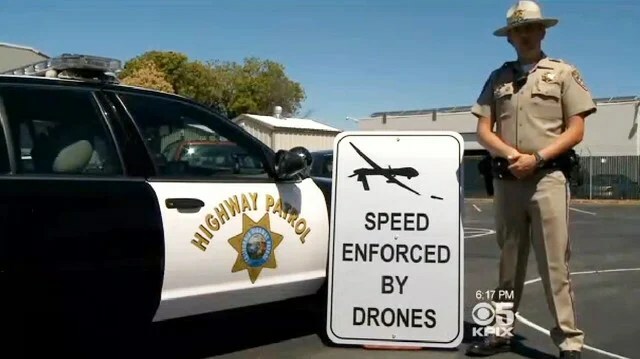 People in the San Francisco area started freaking out when official-looking signs depicting a drone firing a missile stating “speed enforced by drones” started cropping up all over Bay Area highways. However, a local news station, and many more since, has reported that these signs are indeed fake and being removed by the California Highway Patrol, also known as the CHP. The CHP confirmed that the signs were professionally made with the same materials official road signs are made out of. One even went so far as to use tamper-resistant bolts! Authorities still don’t know who’s behind the prank. The alleged second generation Nexus 7 tablet is just a few days away. A number of leaks suggest that the device will hit the shelves at the end of this month, 31st July to be specific. 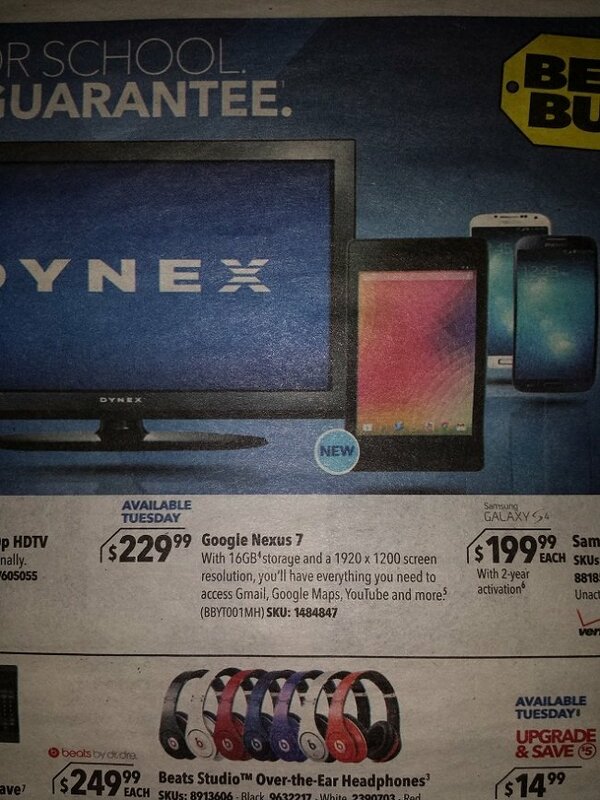 Today, a new Best Buy ad has been leaked that is scheduled to run on 28th July, and it clearly mentions that the upcoming Nexus 7 tablet will be available “Next Tuesday”, that is 30th July. It would just a week ahead of the 24 July event where the search engine giant is expected to launch the much awaited tablet. It’s not really much of a surprise. Every gamer knows that summer is when gaming usually falls off for a bit, but a 15% drop in retail sales in one month is still huge when hundreds of millions are involved. Total spending on video games in the U.S. last month was $1.2 billion, only about 50% of which was made up of physical sales. Where’d gamers take their business? Mobile games have seen sharp increases in revenue over the last few months, causing many gaming journalists to wonder if mobile gaming is slowly taking over the market. Although the main reason they’re so speculative is because the real answer is much less interesting. 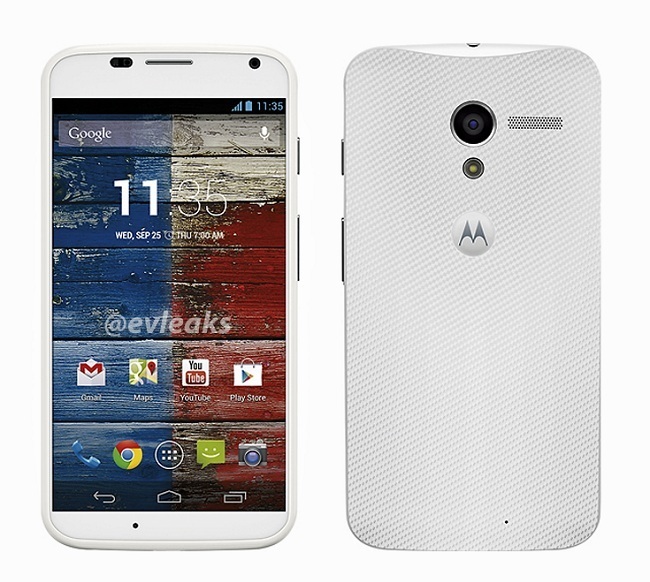 By now, every one of you should know that Motorola will unveil the much-hyped, highly customizable Moto X on 1st August. In the last few days, we have seen a number of images of this much-talked handset including the press render that was leaked yesterday. Today, another leak from @evleaks shows us the device, shining in the bright white color, as well as the side profile photo. Getting giddy of the thought of an LTE-powered Galaxy Nexus? Well, Google, has just unveiled a full 360-degree view of the Verizon-bound smartphone, and it’s packing a bigger caboose. Around 0.6mm thicker than the HSPA+ version available now in the UK, the 4G-stuffed version loses, at least visually, some of its curved charm and the chin’s become more prominent too. Fortunately, as the tech specs confirm, the slightly bigger body does cram in an extra 100mAh of battery juice, presumably to feed that LTE radio. Will it feel any different in the hand? It looks like we’ll have to wait until Verizon decides to furnish us with one – whenever that is.